Since our humble beginnings as one man, a truck, and a few tools, we have come a long way. We are now an award winning company that offers landscape installation services with a focus on high quality, custom landscapes. What sets us apart? Our specialization. We focus on one project at a time, devoting our full attention to the installation details and the customer. 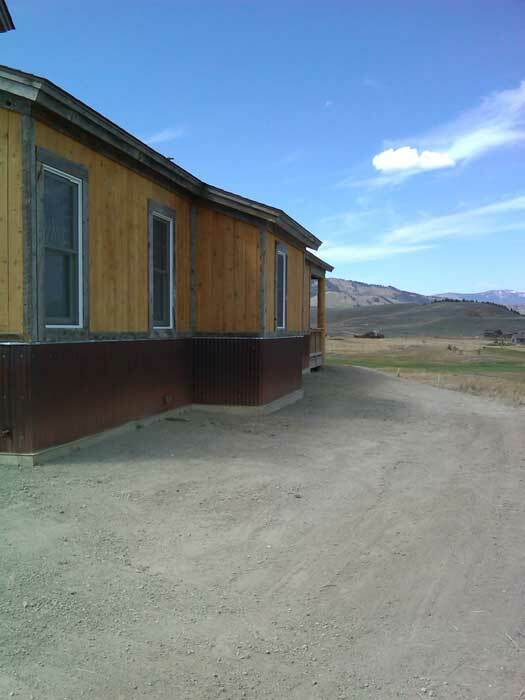 Both Grady and Dan, as owners, are able to be on the jobsite throughout the entire project. For this reason, we select projects that fit well with our company values and are unable to complete the high volume of requests that we receive each season. Please see our primary installation services listed below. We know the importance of maintenance and have not forgotten about it. We have partnered with Cold Springs Nursery to take care of the necessary maintenance that is required with our warranties. Many of you know that Cold Springs Nursery has been around for over 50 years and is the best nursery in the county. They have a very knowledgeable staff that is always eager to care for plants and landscapes beyond the nursery. Hardscapes are the backbone of your landscape and can be the highlight of outdoor living spaces. 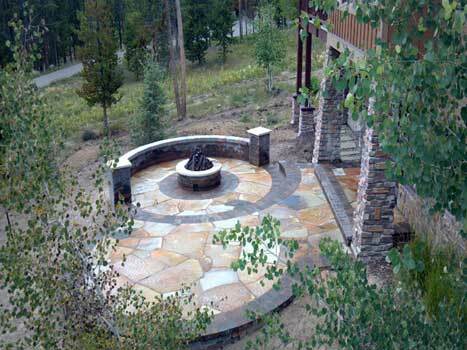 From flagstone patios to moss rock retaining walls, Grand County Landscaping excels at creating hardscapes that will last a lifetime. We are nationally certified installers of both pavers and segmental block retaining walls and are ready to build any type of path, wall, or patio you can imagine, including paver driveways. Contact us to talk about the benefits of paver and flagstone patios. 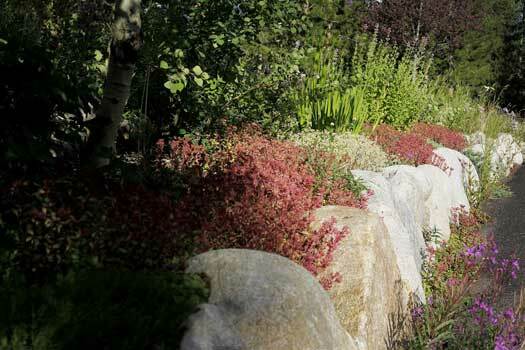 The impact plants can make in a landscape garden with a seemingly endless array of colors and textures, can transform your home and business. Here at Grand County Landscaping we have created strong relationships with nurseries that have the same focus on quality that we do in order to provide our customers with plants that are hardy and beautiful – perfect for the high country altitude and weather. This, along with our knowledge of growing plants in high altitude environments, helps us put together the look you want with plants that thrive. Lastly, we do all this while incorporating water-wise techniques that reduce maintenance and conserve water. Ask us about the high country plants that are right for your property. Most landscapes require supplemental water, and a properly installed sprinkler system will provide you with a worry-free and time saving way to maintain and beautify your landscape. A properly designed and installed sprinkler system helps plants flourish and preserves the environment by using less water. Grand County Landscaping can design and install a custom sprinkler system that will meet the specific needs of your landscape. 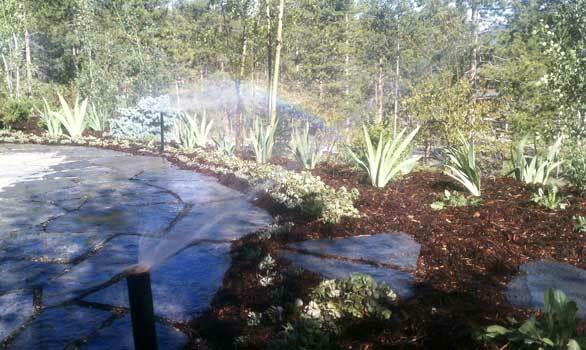 Contact us for your irrigation needs. After you beautify your lawn with landscaping design, you want to highlight your home’s new outdoor space. 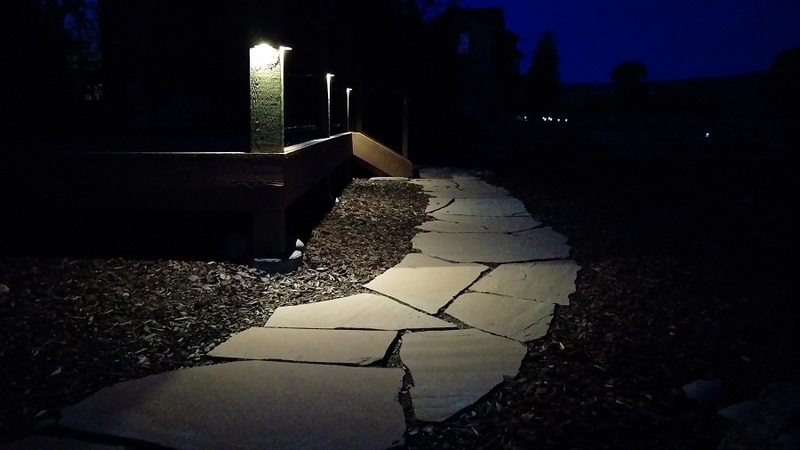 With landscape lighting, you not only light up the best of your outdoor areas, but you also add a heighten sense of safety and awareness. Ask us how landscape lighting can help improve your home’s security, while keeping you safe. These items are often overlooked in the lawn and landscape construction process. Lawn preparation is crucial in order to insure that hardscapes will last, plants will thrive, and the completed landscaping design will be lasting. Contact us for more information on how we can help with lawn preparation.